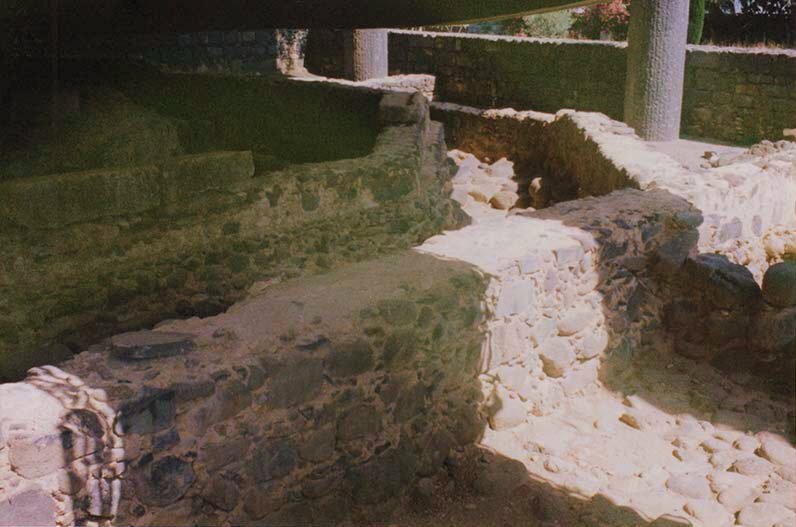 Also in Capharnaum are the ruins of Peter’s house. In the fourth century, a gathering place for Christians was built upon it. In the fifth century, upon this was built a church (see the angled walls). The modern-day church is above it, on cement stilts or pillars. This is where Jesus healed Peter’s mother-in-law. This is where Jesus relaxed and socialized. And a short distance away was the synagogue where Jesus preached. 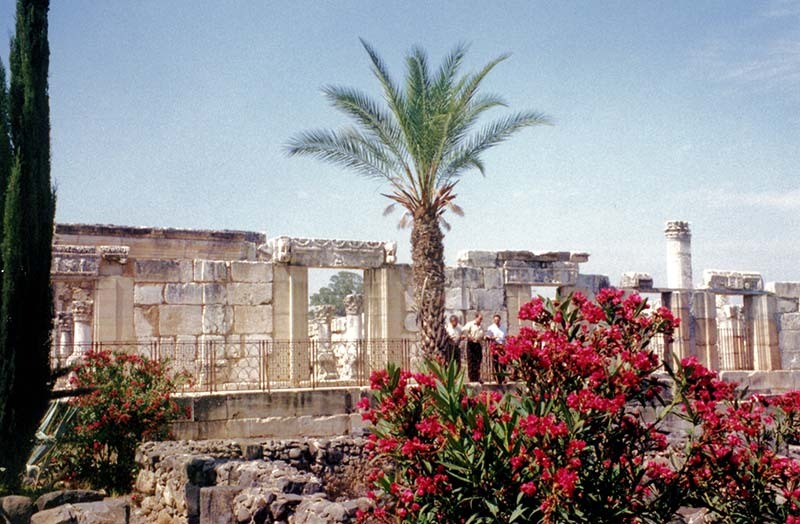 The ruins we see in the photo below are of a synagogue built in the fourth century on top of the original one. Find a doorway and click on it to go inside.